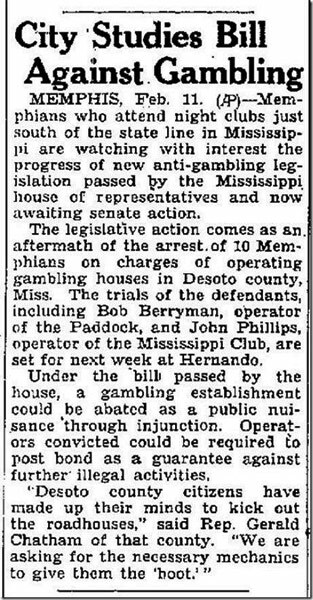 Bob Berryman was a small time Memphis gangster and Big-time Memphis gambler. 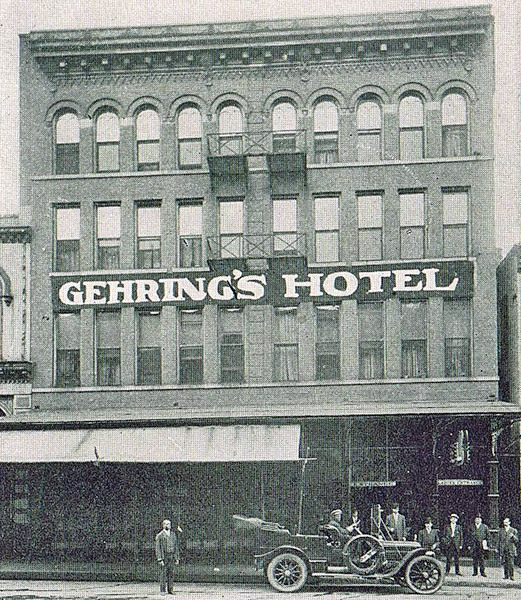 He held illegal gambling at the old Gehring Hotel on Main Street ...as well as the prestigious Peabody Hotel. 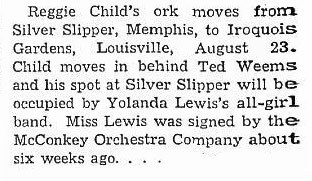 And E. H. Crump knew all about it. He murdered John Phillips at a restaurant on Main Street and spent 9 years at the State Penitentiary in Nashville....being released early on good behavior. 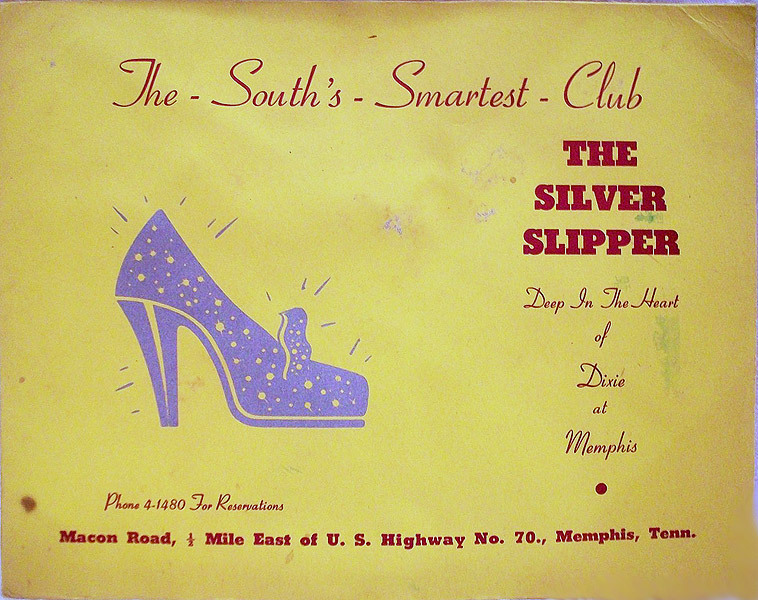 But he is best remembered for owning the most famous night club that Memphis ever had - the Slipper Slipper. 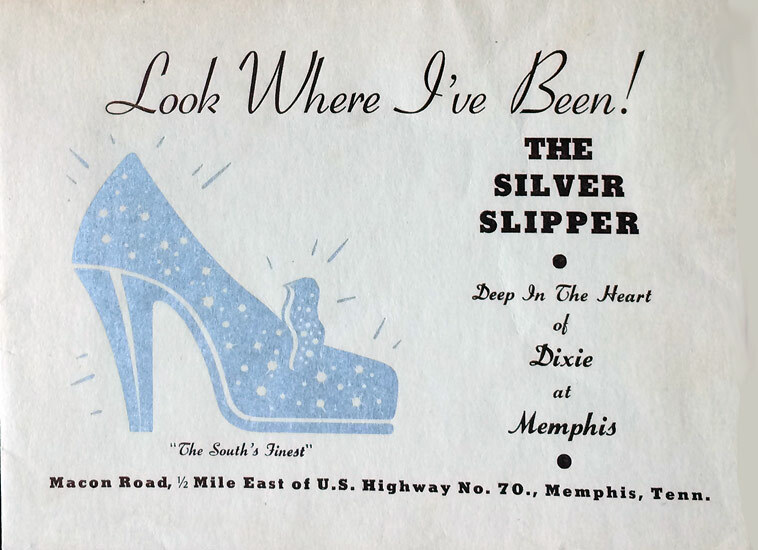 The Silver Slipper was in the county, on Macon Road, just outside the city border. 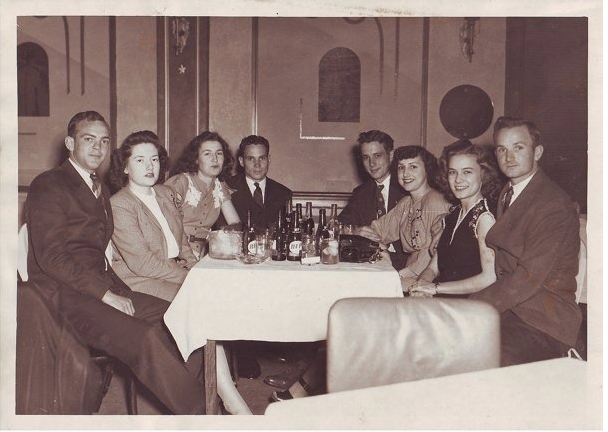 And it was "the place to be" in the 1940s and 1950s. The food and music were very good. 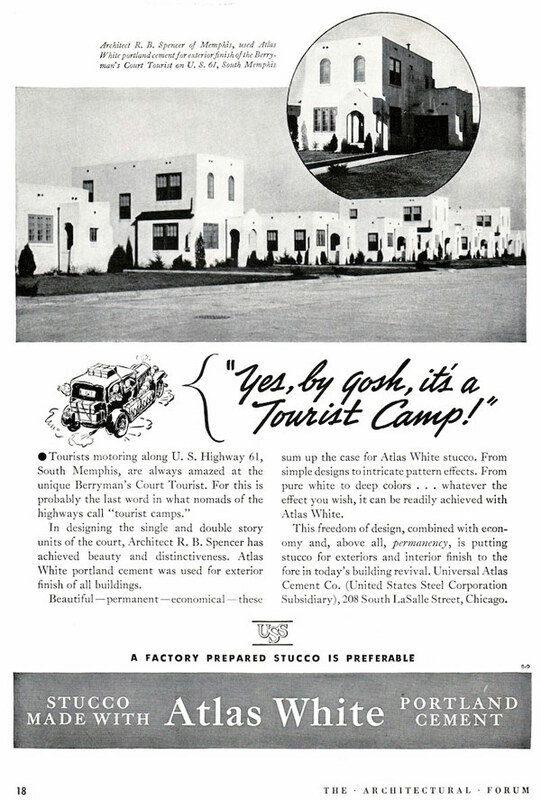 It was built of white stucco with a tile roof and rows of arched windows. 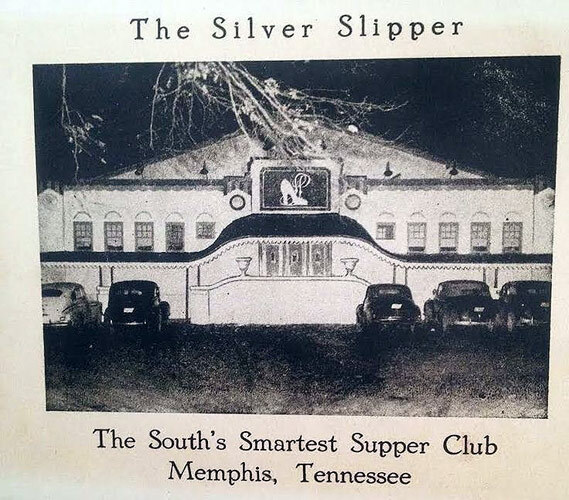 And on the sign at the main entrance sported a huge illuminated slipper. 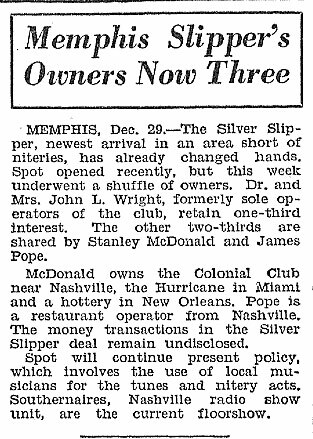 It was considered "Memphis' most luxurious nightclub". In addition to the fine dining and dancing, there was gambling. Generations of Memphians spent many evenings there. 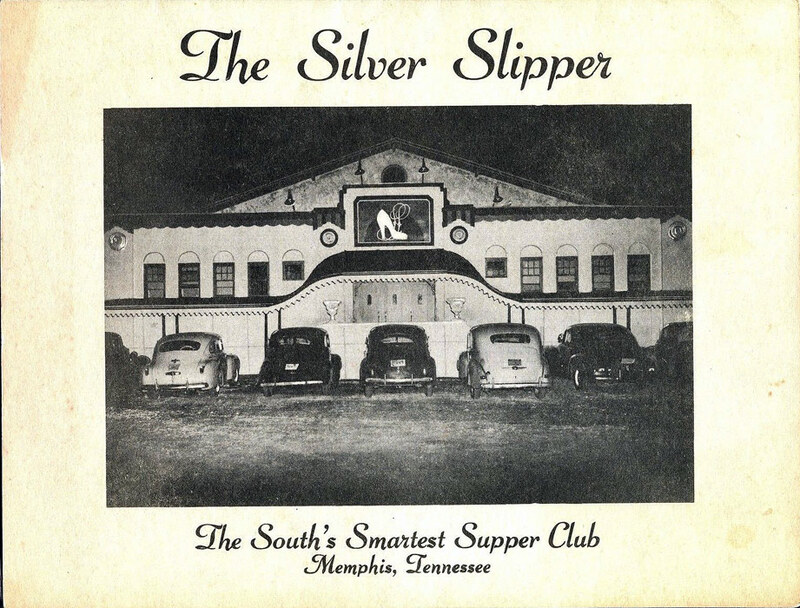 The Silver Slipper operated off and on from 1929 until it was destroyed by a fire in 1958. 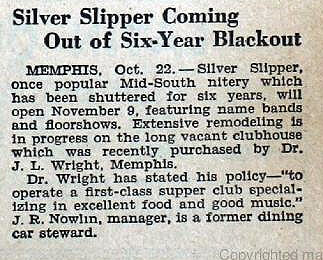 The Silver Slipper also featured live entertainment. 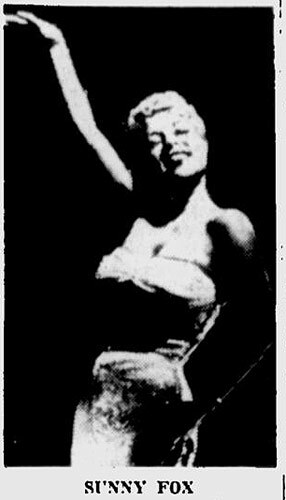 They were not the biggest headliners, but entertainers on their way up... and in some cases, on their way down. 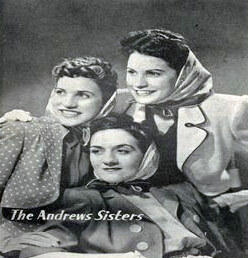 The Andrews Sisters appeared there in 1933 before they hit big-time. 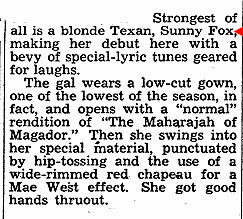 Name dance bands did appear there. 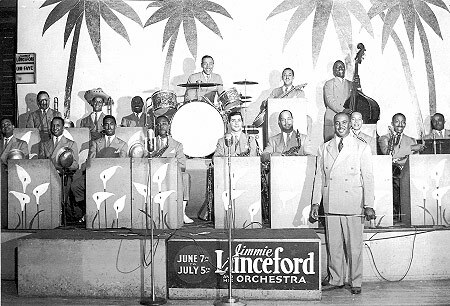 Even Elvis performed here at the beginning of his career. 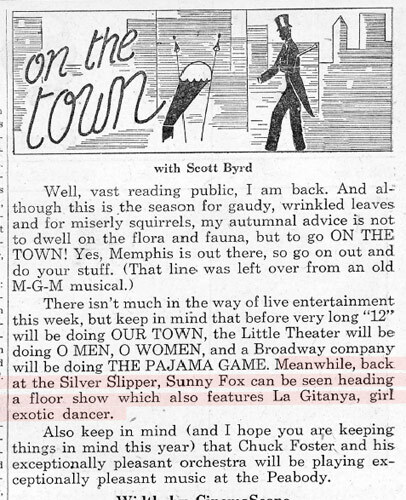 Toward the end, the Silver Slipper entertainment leaned more toward burlesque. When the building was demolished, Elvis carried off the famous mirror ball as his trophy. 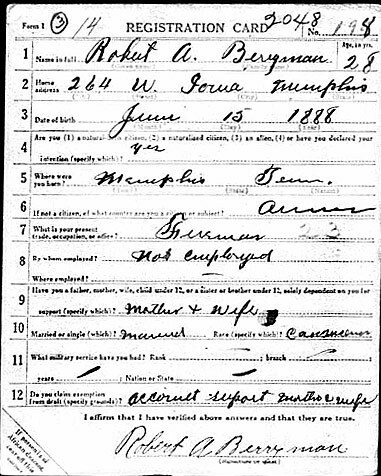 Born in 1888, Robert Arthur Berryman was a Memphis native. 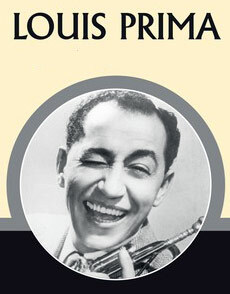 Very little appears in print about his life. 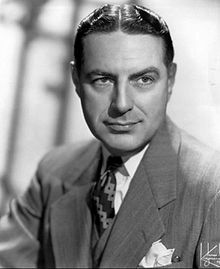 Although never mentioned in newspapers accounts, he was a bootlegger, gambler, well known night club operator, and a murderer. 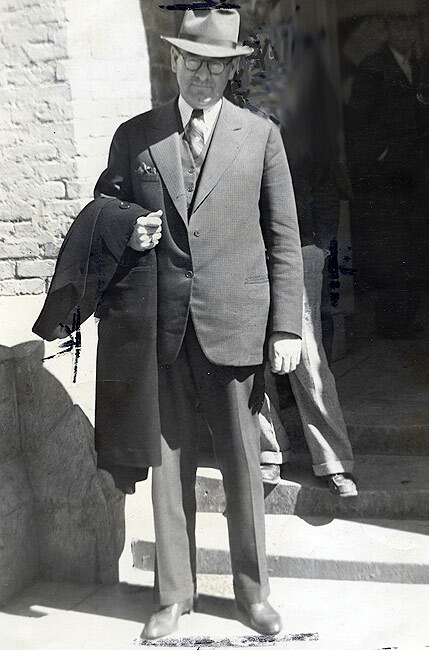 As his reputation grew he was referred to as "Czar of Memphis night life" or a "sportsman about town', and "King of Memphis gamblers". 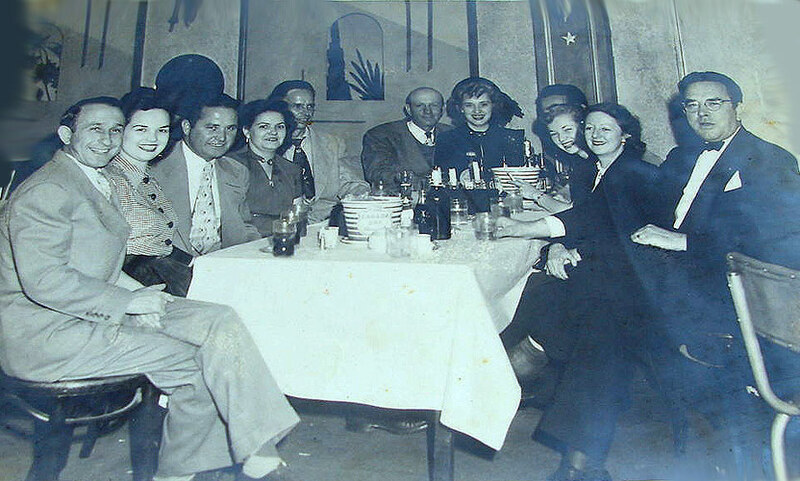 During a 1927 crackdown, the police discovered a thriving Monte Carlo run by Berryman in the Gehring Hotel, right under their noses at Main and Union. 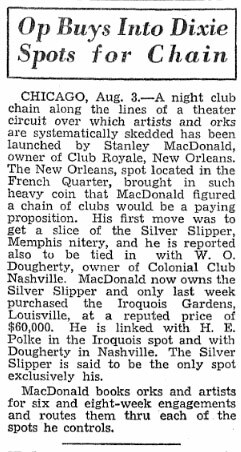 Two years later he invested $100,000 in the Silver Slipper, a plush nightclub on Macon Road, just outside the city limits. 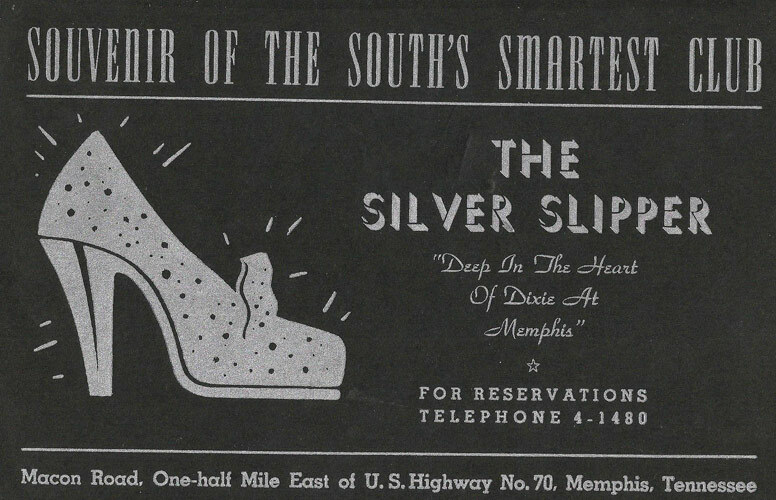 On opening night, the newspapers reported that "the 400 of Memphis society were among the 450 guests lucky enough to get reservations". It wasn't mentioned, but dice and roulette were available at the club. 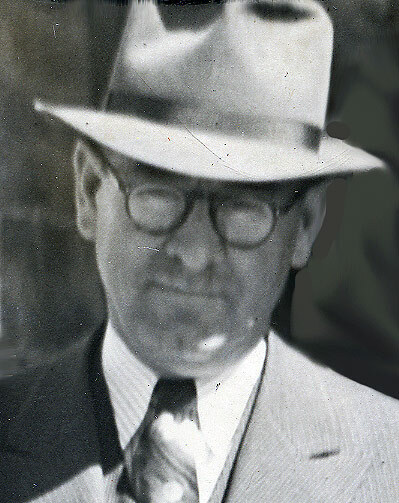 All the vices were closely regulated by E. H. Crump in the time-honored fashion of "keeping the business in local hands and keeping strangers out". 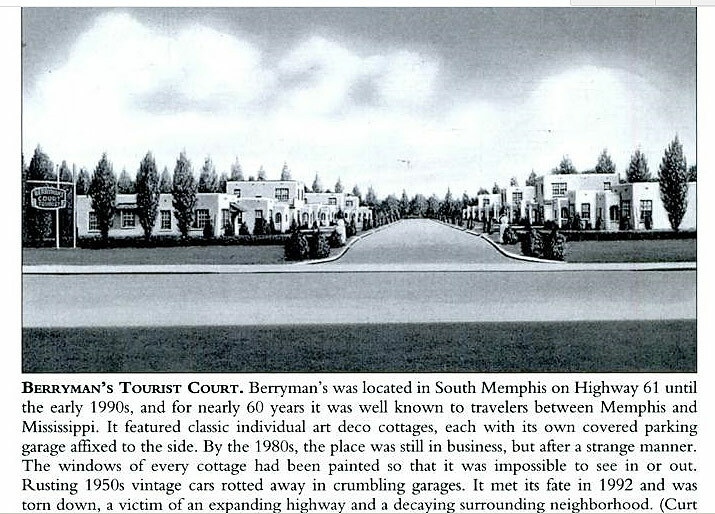 In 1937, Berryman began a new adventure - a motor hotel on Highway 61, known as Berryman's Tourist Court. It was a rather unique adobe architectural style arranged in a semi-circle with a two-story manager's residence by the entrance. 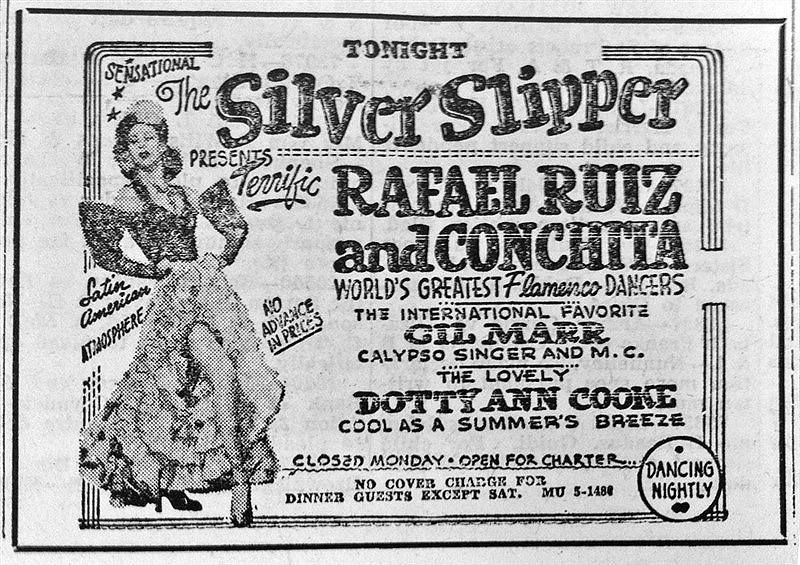 It was featured on many postcards of the period and became quite well known but most folks didn't associate it with the Berryman of Silver Slipper fame. Years later the name changed to "Adobe Village". It has was demolished in the late 1990's. 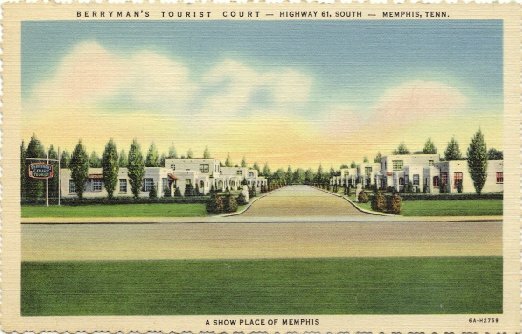 "A Show Place of Memphis" . "The Finest in America . One mile South of Memphis . Beautiful Tile Baths . Radio - Telephone . Garage . Conditioned Heat and Air . 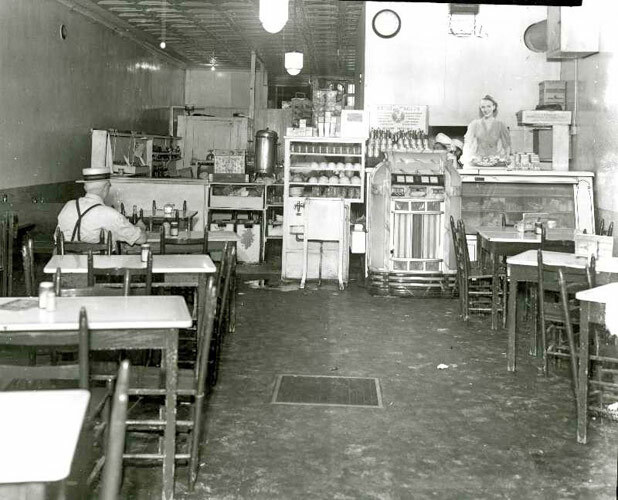 Exquisite Furnishings"
In 1940, an associate of Berryman named John Phillips was standing outside the entrance to Joe Foppiano's Grill. 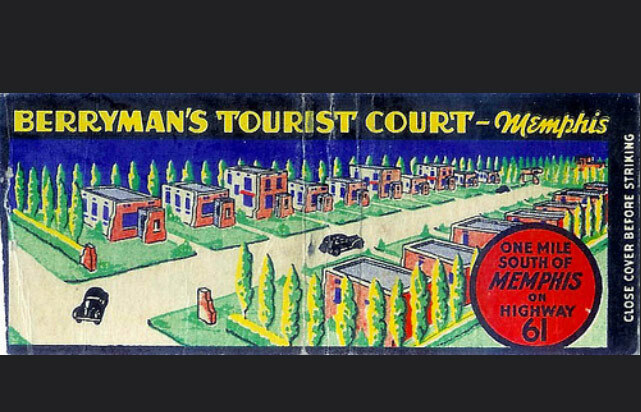 Bob Berryman drove up, parked, and then pulled a sawed-off 20-gauge shotgun and shot him. The wounded Phillips ducked into Foppiano's and made his way to the rear exit. Berryman followed and shot him again. 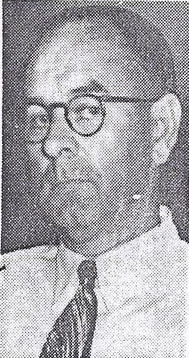 When Phillips begged for no more, Berryman pulled out a snub nose Colt and emptied it into Phillips - and then calmly waited for the police. Charged with murder, Berryman pleaded self-defense, claiming that Phillips was out to kill him. 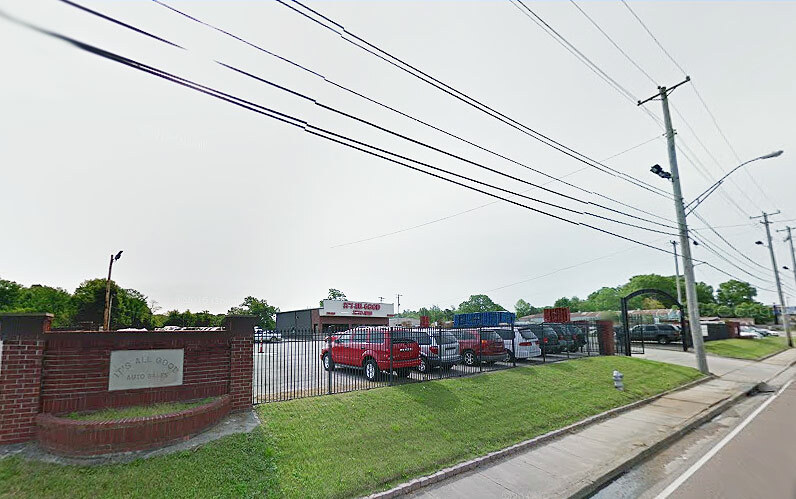 The jury didn't buy Berryman's story, and in spite of threats, they gave a guilty verdict and Berryman was sentenced to life in prison at the Tennessee Penitentiary. 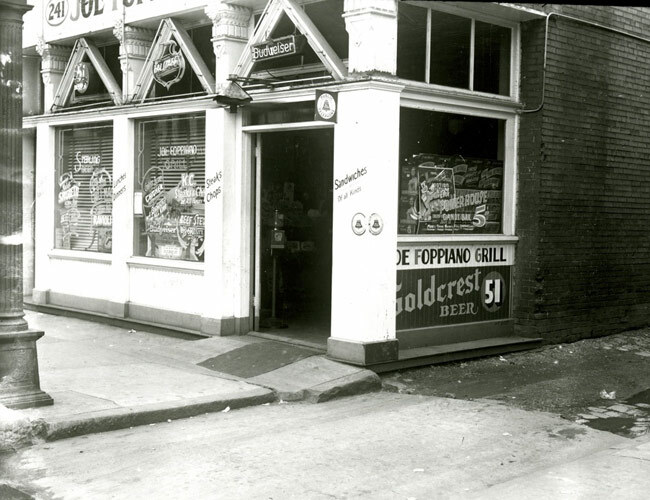 Foppiano's didn't stay in business much longer after this. 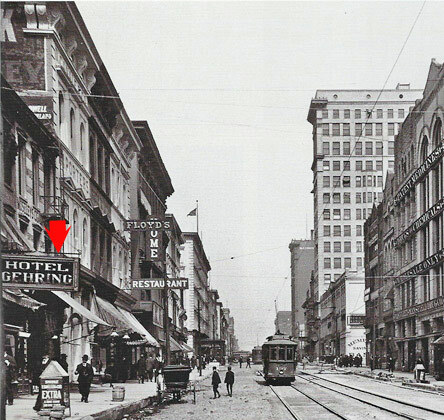 The building went through a series of Furniture Stores and was eventually demolished in the 1960s.. 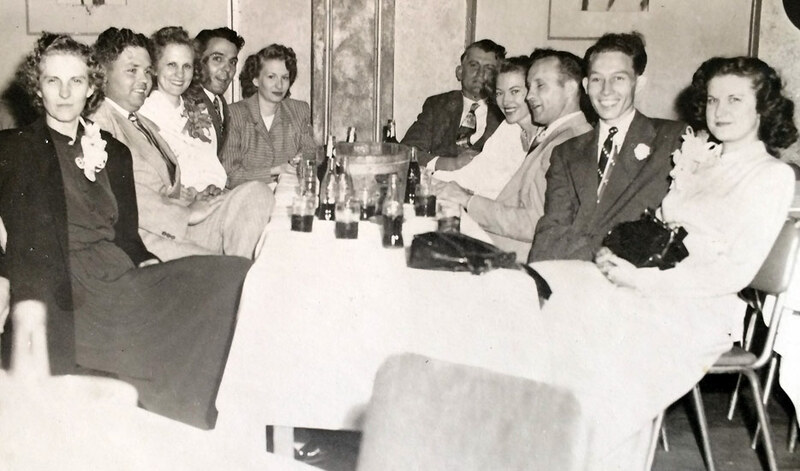 Even with a life sentence at the Tennessee Penitentiary, Berryman was on occasion spotted at Nashville hotels with his wife. 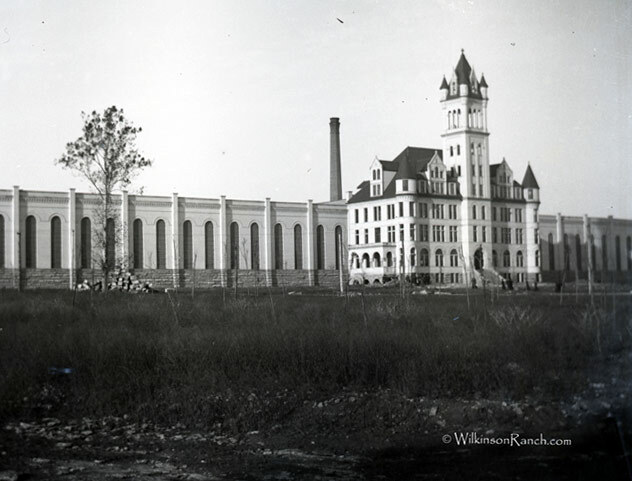 He had been such a "model prisoner" that he was given "special privileges" which included overnight trips to Nashville. 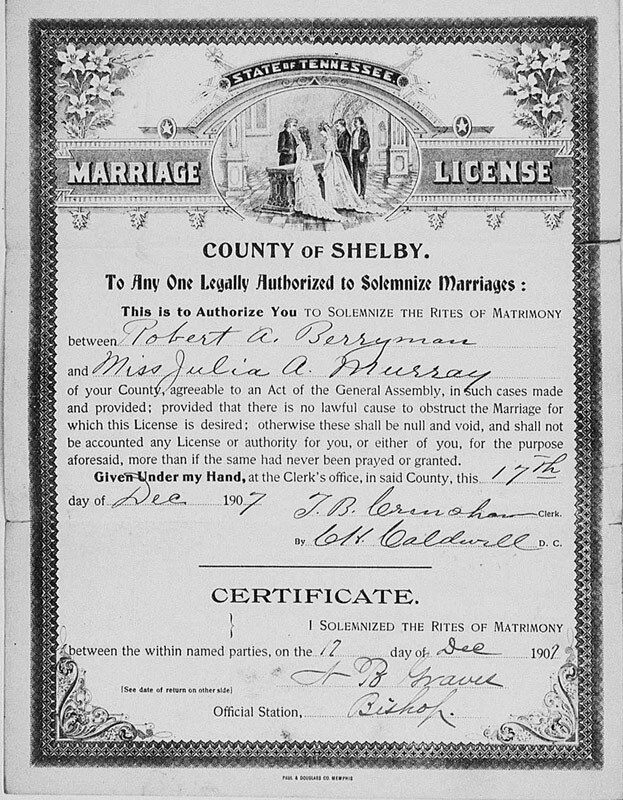 The Governor of Tennessee was later persuaded by Berryman's friends to commute his sentence due to "health reasons". He had served only 8 1/2 years of his sentence. 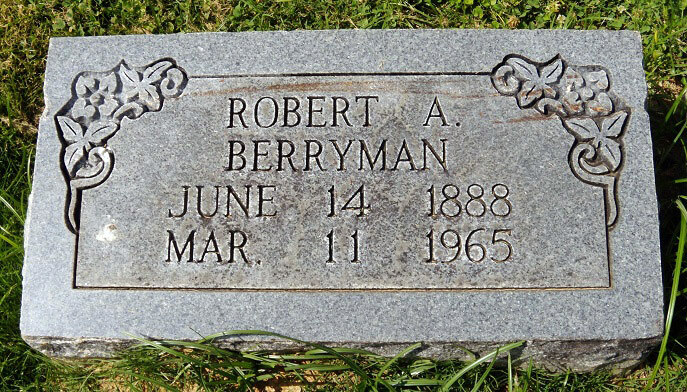 Berryman died in Nashville in 1965 and is buried in Elmwood Cemetery.